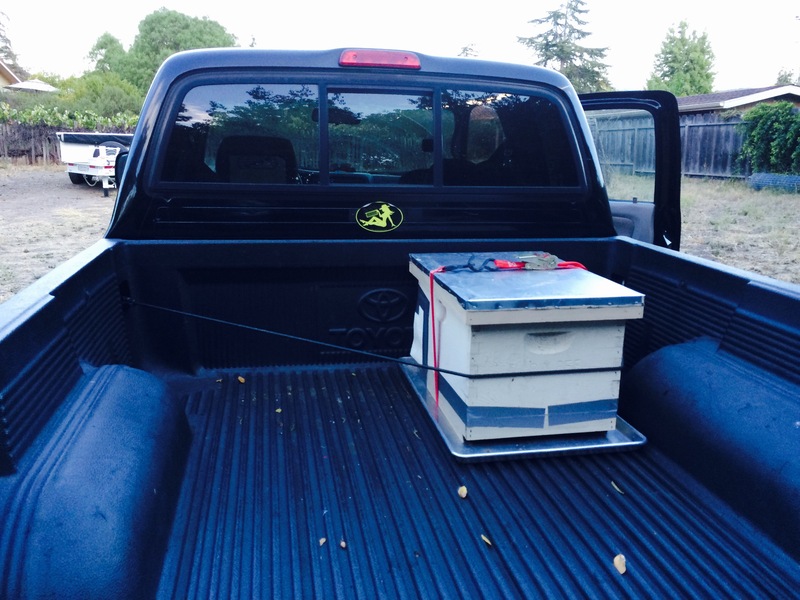 Beekeepers wait for spring like kids wait for Christmas, and this time the wait was longer than usual in California. 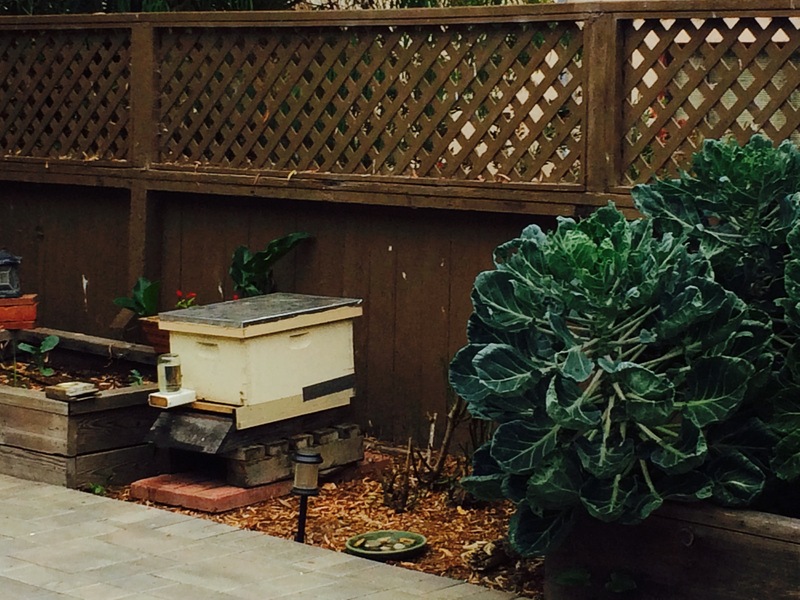 Finally this week the rain let up and it was time to see what had transpired over winter in our San Francisco hives. Aaron and I were pleased with what we found. 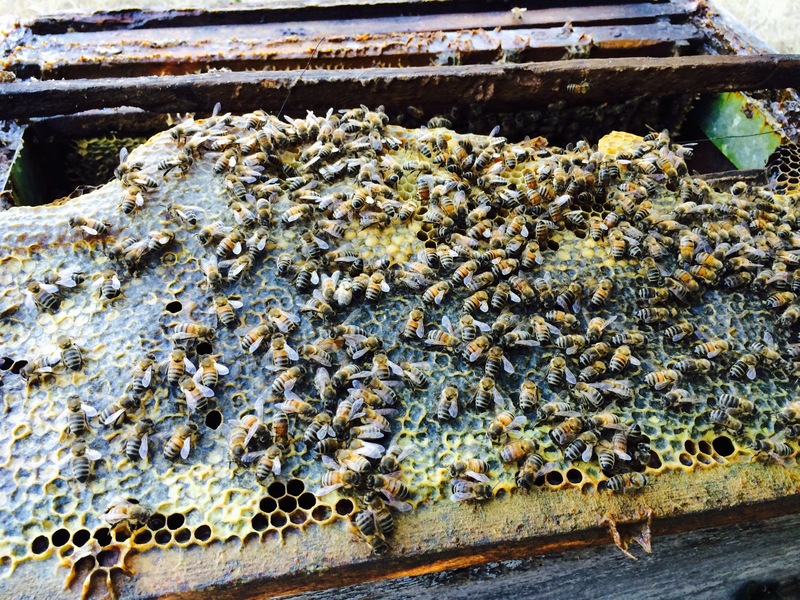 Healthy colonies, queens with big, fat, booties, and lots of eggs and honey stores. 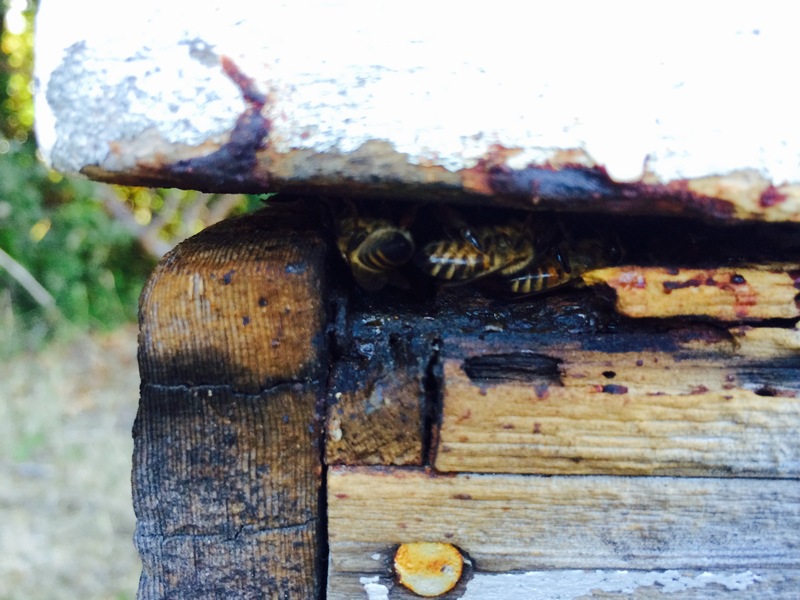 Because we had not opened the hives since October, the bees had built bridges of wax comb between the frames, which made them stick together. A little spring cleaning was in order to remove this wayward comb, otherwise known as burr comb, brace comb, or bridge comb. Don’t worry, we gave it back. 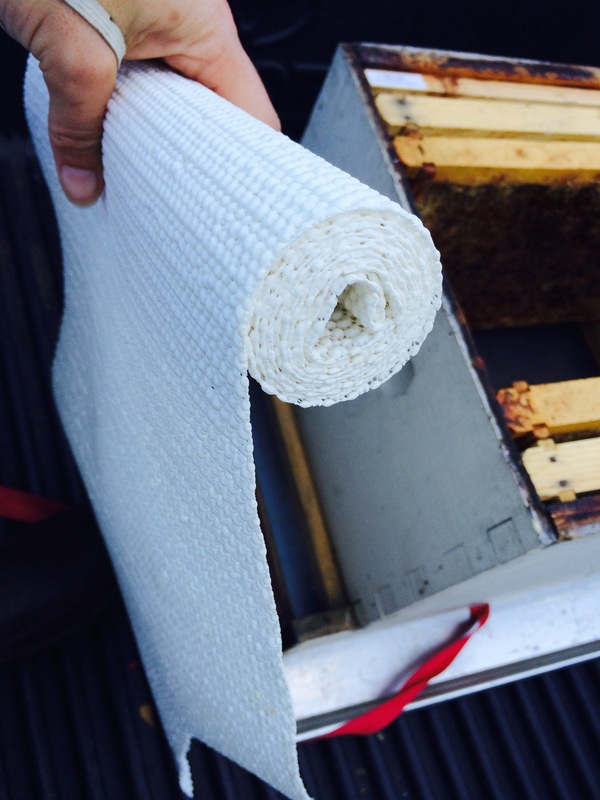 The bees will clean all the honey from the wax and return the honey to the hive, putting it back in honeycomb cells and sealing it up for their own use. They will lick the comb dry, and then we’ll return to fetch the wax, melt it down, and make candles. Apis Recycle-itis! 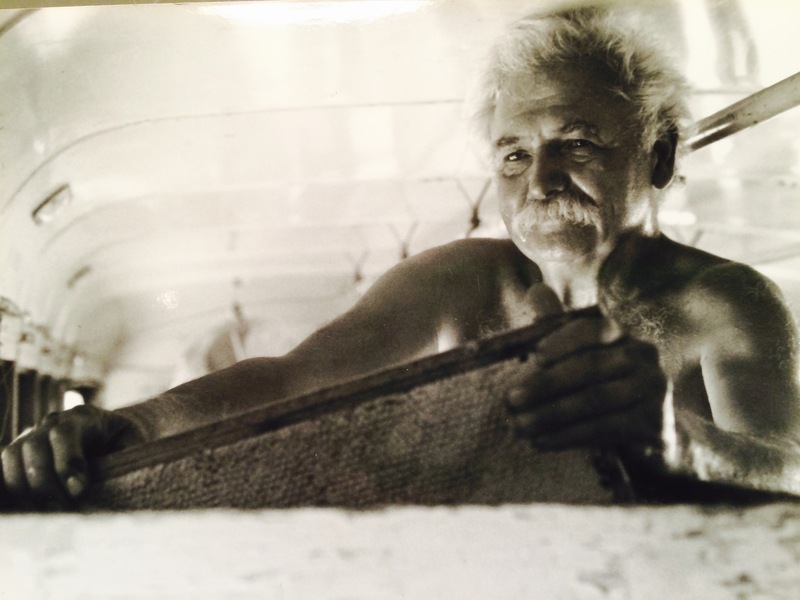 Here’s Grandpa, the man who taught me beekeeping when I was five, touring the inside of his World War II Army Bus – turned honey factory in his Carmel Valley backyard. 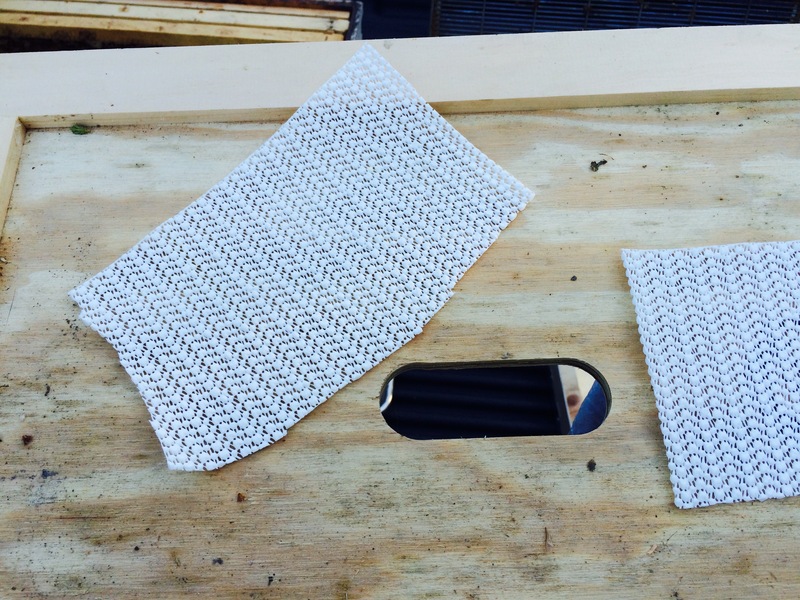 He expounds on honey harvesting, why the bees are disappearing, and the proper way to remove a stinger. This is one of the last videos I took of him before he passed away earlier this year. 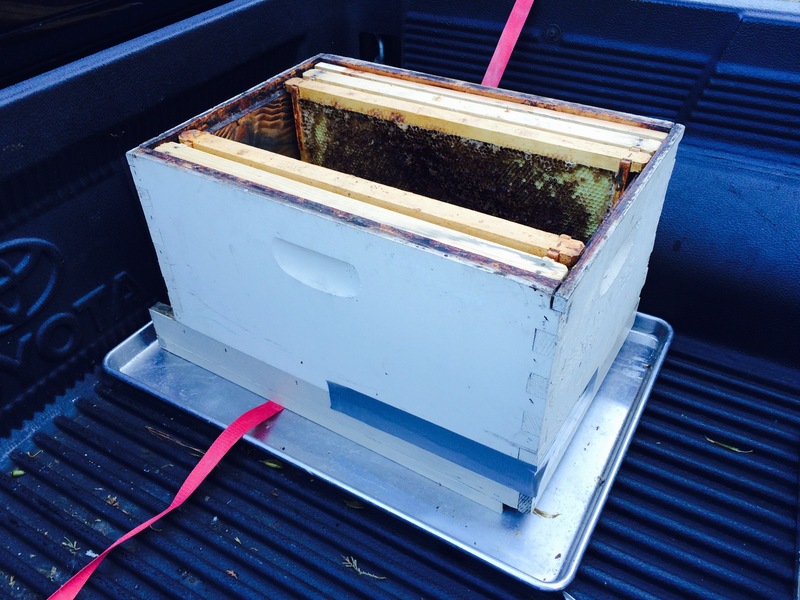 Note he wears no gloves when he sticks his hands in a hive! 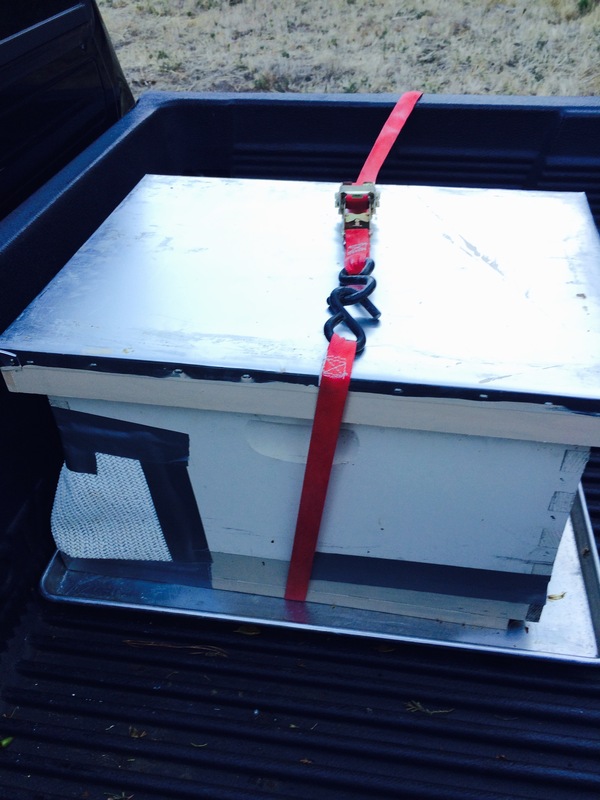 Before Grandpa passed away last May, he asked me to take care of his bees. 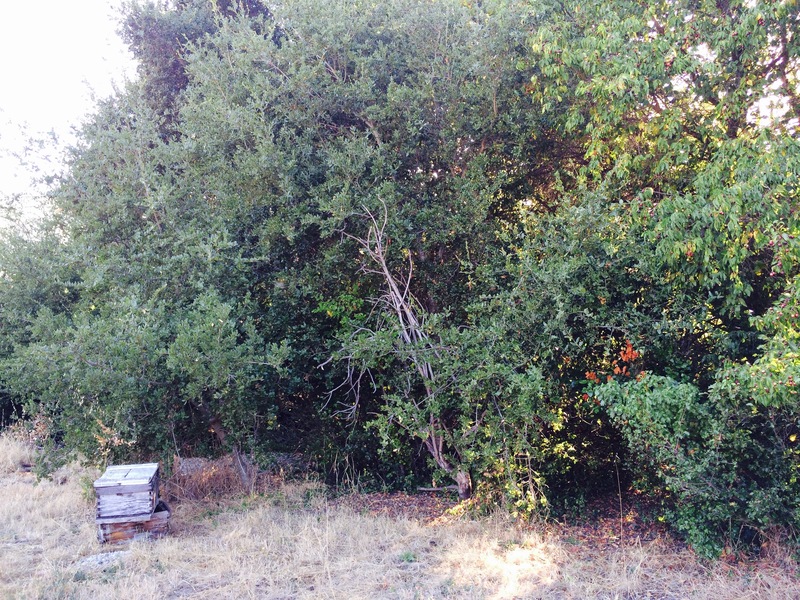 He was 89, and although he had years ago reluctantly given up his Big Sur beekeeping career because he was too frail to lift the honey-heavy hives, he still liked to watch the wild bees set up homes in a pile of deteriorating bee equipment in his backyard. 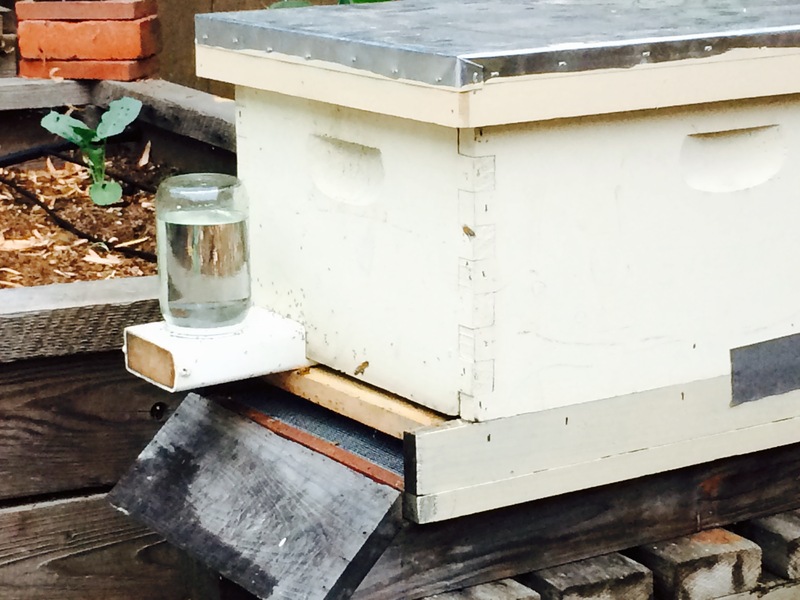 Now all that’s left is one hive. 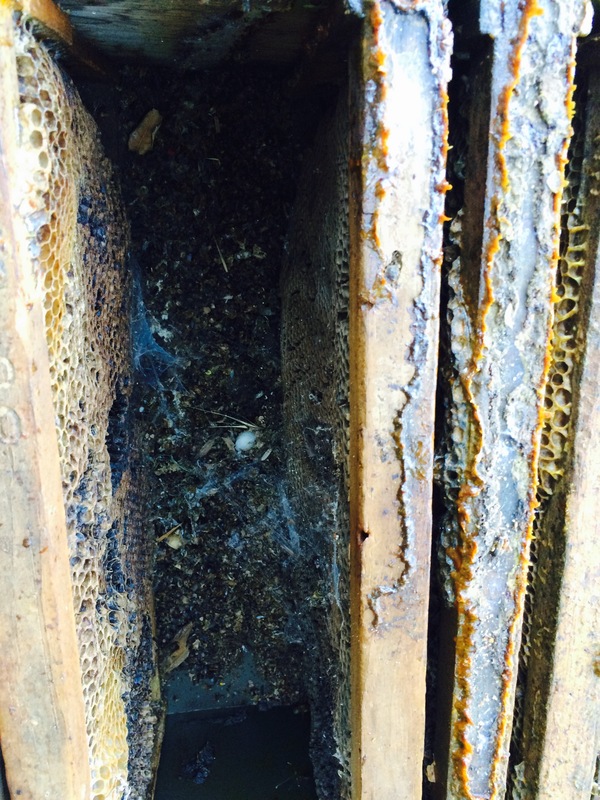 The bees were entering through a small crack in the top left corner. 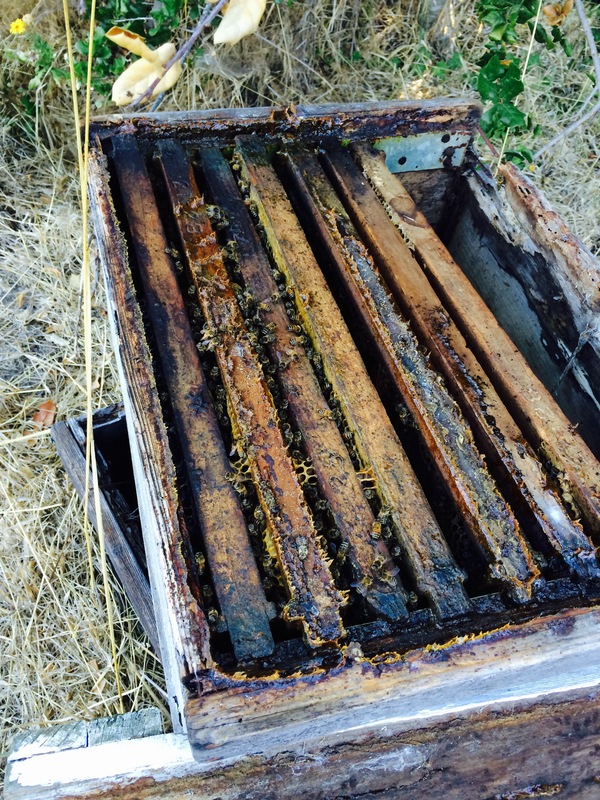 When I pried through a seal of gummy brown propolis, I found a very small colony trying to raise eggs in frames that had been destroyed by mice, wax moths and who knows what. The frames crumbled in places when I lifted them. I carefully searched, and found eggs and larvae. And a spot of honey. I carefully transferred Grandpa’s frames into a deep I brought from home with four empty wax frames. 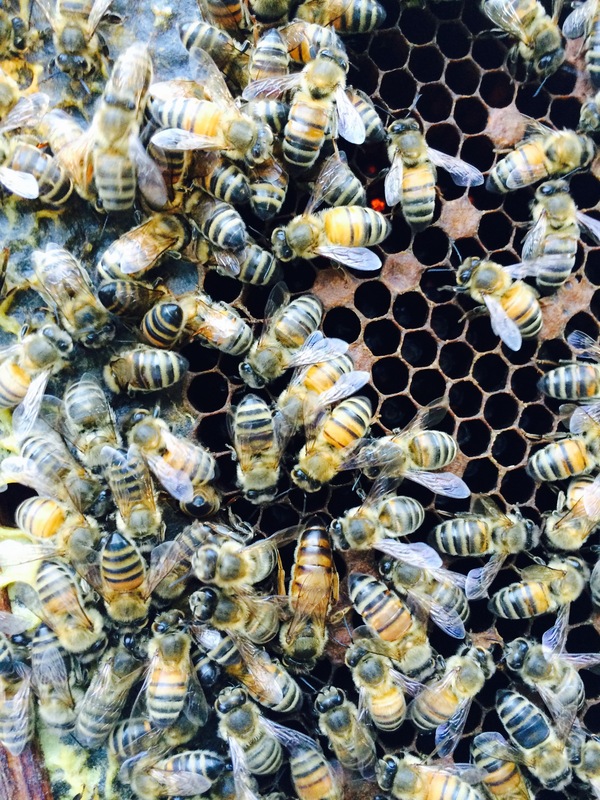 I heard a collective thrum of excitement from the bees. I think they were overjoyed to have clean wax and more room. 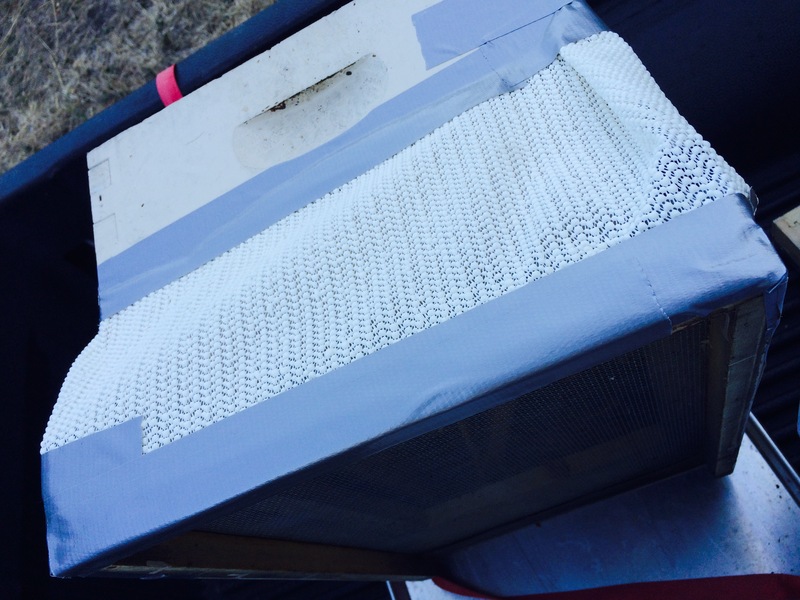 I used mesh drawer liners and duct tape to cover the entrances for the trip to the Bay Area. I secured the lid for the two-hour journey. Their new home was waiting when I pulled up at 10 p.m. I transferred them to the garden, removed the mesh (got stung on my right pinky finger), and fed them with a 1:1 sugar-water ratio. I also placed a super of sticky honeycomb on the ground nearby so they could find it in the morning for easy forage. I filled a planter tray with rocks and water so they could have water close by. In the morning, they made small, exploratory flights around the garden. 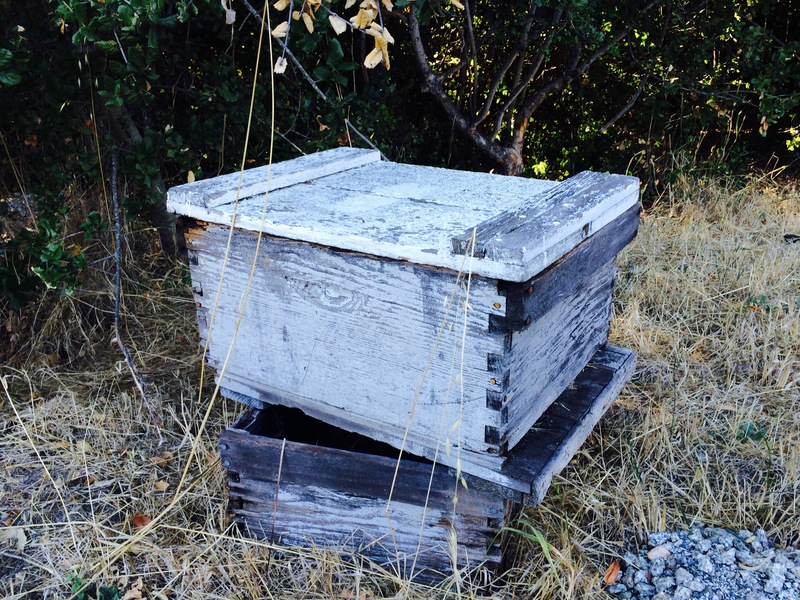 I hope, with more room, new equipment, my mothering and Grandpa’s spirit, this little hive will survive.